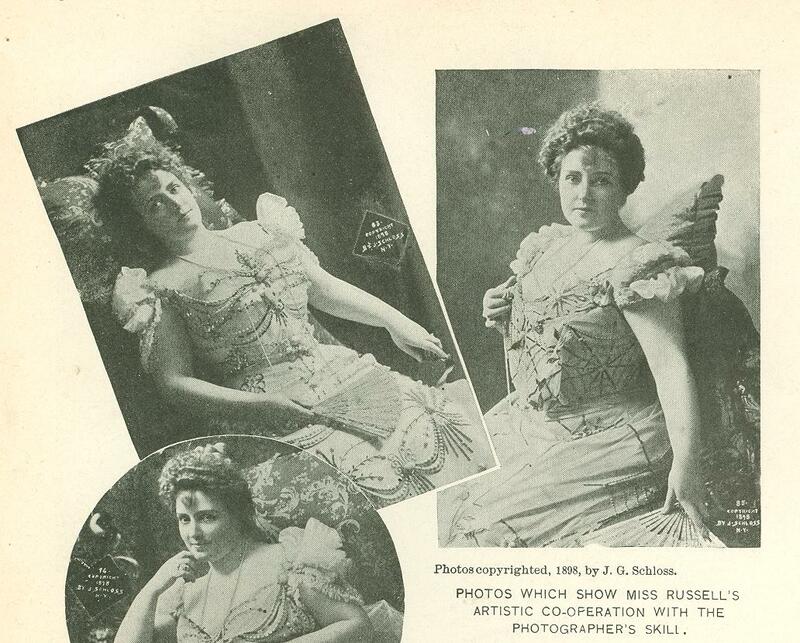 Lillian Leonard Russell is one of the three daughters of Mrs. Cynthia Leon­ard. 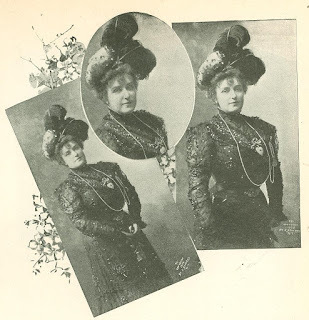 The family came originally from a little town in the neighborhood of Steubenville, Ohio, and Lillian's first appearance as a singer was in the choir of a little Western church. When her daughter Lillian was about fifteen years old, Mrs. Leonard, whose restless spirit could not brook the prosaic life of a small country town, decided to come to New York with her three daughters. 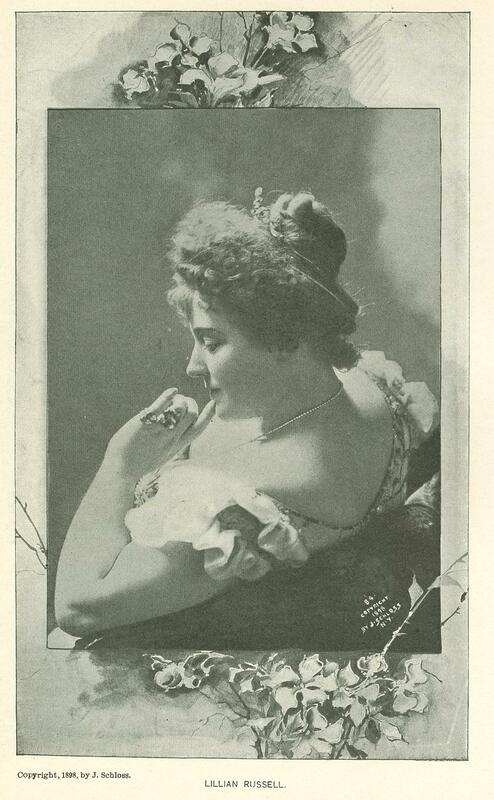 Lillian, the beauty of the family, at once found a modest opening in the chorus of Rice's "Evangeline," then being played in Brooklyn. 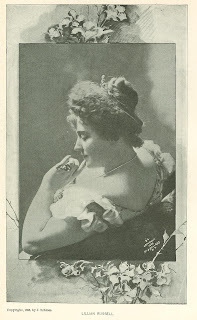 She could not long remain unnoticed; within a short time an offer was made to her by Tony Pastor to take the leading parts in the series of light English and American operas which he planned to tour through the country. This tour gave the young girl her first real train­ing, for in order to keep up with her repertoire she was obliged to study diligently, and had little time for the social pleasures that usually fall to the, lot of a beautiful and gifted girl. From the management of Tony Pas­tor she passed into that of Mr. Duff and Mr. McCaul, and later into starring on her own account.